E. Snyder A.D. 1850 is woven in a narrow strip along an edge rather than displayed in the more typical corner block format. 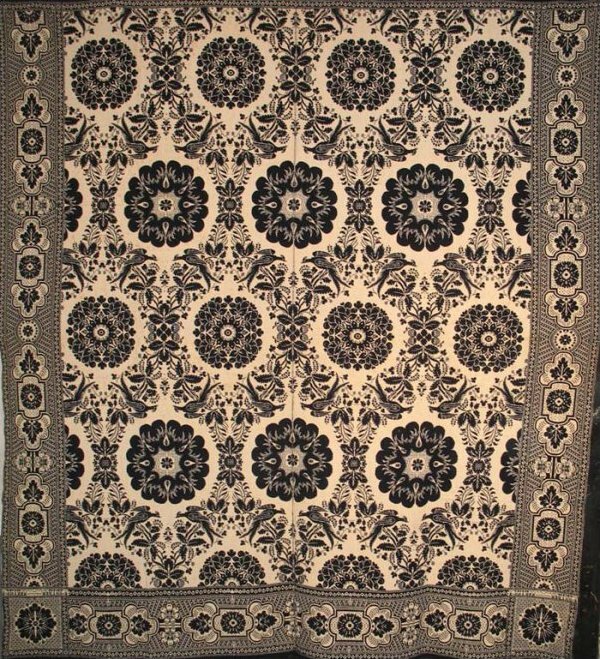 Superlatively woven NYState double cloth jacquard in the quality, workmanship and harmonious design format seen in the work of Harry Tyler, who may have been its weaver. Luxurious patterning that includes two pheasants resting at the top and bottom of each large floral medallion motif. Geometric design borders the sides and foot.